If your idea of a great job includes pursuing untethered research, shepherding brilliant researchers and helping shape the long-term strategy of one of the largest tech companies in the world… oh, and also publishing prolifically, authoring patents, winning awards and speaking around the world… you are in good company. That’s what Dr. Victor Bahl, Distinguished Scientist and Director of Mobility and Networking at Microsoft Research, does for a living. And he loves it! Today, in our first live podcast, recorded at the Microsoft Research Faculty Summit 2018, Dr. Bahl shares some fascinating stories from his long and illustrious career, gives us an inside look at what’s new in networking, and, explains why, in an industry where it pays to be the smartest person in the room, it’s important to be a world-class listener. Victor Bahl: Craig Mundy, who was the CTO of this organization took me out for dinner. I was again a young researcher, and I didn’t know what it was about. And he started talking to me about this cable/DSL duopoly. So, he started to explain to me how in rural America people had no access in the internet, right? And the duopoly concept was about the fact that everybody was relying on these cable and Telcos to provide them connectivity. And they would provide connectivity where their business model made sense. So, as he was explaining this to me, he started to say, well, Victor, we must be able to do something in wireless to prevent that. And then he said, so are you going to do this? This is exactly how he said, are you going to do this? And so, here’s a CTO of Microsoft Research at that time, asking me. So that got me going on this stuff. Host: If your idea of a great job includes pursuing untethered research, shepherding brilliant researchers and helping shape the long-term strategy of one of the largest tech companies in the world… oh, and also publishing prolifically, authoring patents, winning awards and speaking around the world… you are in good company. That’s what Dr. Victor Bahl, Distinguished Scientist and Director of Mobility and Networking at Microsoft Research, does for a living. And he loves it! 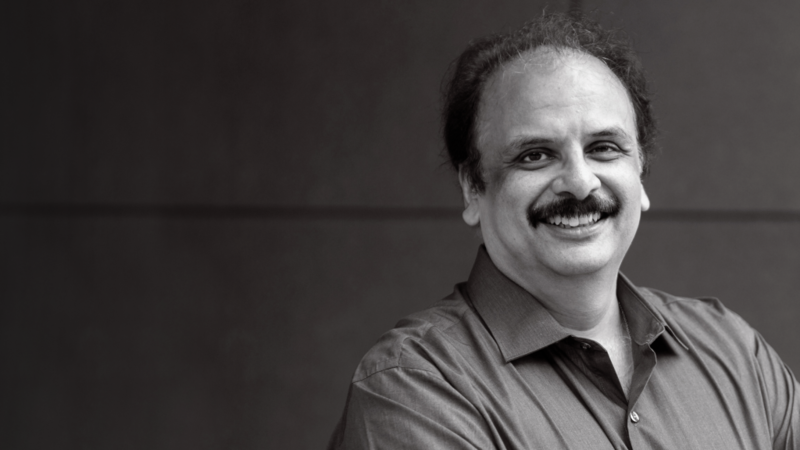 Today, in our first live podcast, recorded at the Microsoft Research 2018 Faculty Summit, Dr. Bahl shares some fascinating stories from his long and illustrious career, gives us an inside look at what’s new in networking, and, explains why, in an industry where it pays to be the smartest person in the room, it’s important to be a world-class listener. Host: Yeah, this is our first live podcast, and I’m honored to have you be the guest, Victor. You’re a distinguished scientist and the Director of Mobility and Networking at MSR. And you say you have one of the best jobs in the industry. How would you describe what you do? What inspires you? What gets you up in the morning? Victor Bahl: Well, first thank you for having me here. Yeah, I do have the best job in the world! I think, if I reflect on what I have, you know, I’m around some of the smartest people in the world. They are on the top of their game. Talking to them ups my game. And every day is a learning experience for me. I also feel that this organization is set up amazingly well, providing complete flexibility to the kind of things we want to pursue. So, we can really go after our own passion. I also feel that the, our CEO has empathy, and has shown that, and that allows us to not only just go after tech problems, but also things that affect the societal benefits. And hey, the pay is not bad either, so, you know if you take all that into account, it’s one of the best jobs I could have had. Host: How would you describe or define the big goal of mobility and networking researchers at MSR? What big issues are you looking at, the big questions you’re trying to solve? Victor Bahl: I think we are trying to build the most reliable, the most accessible, the most secure, fastest network on the planet. And so, if you think about it from that perspective, there are many, many problems that you need to solve, including things like broadband access to the billions of people who don’t have it. When I talk about accessibility, that’s what I’m talking about. When I talk about reliability, I’m talking about a network that never goes down. And, then similarly, there are other problems, same thing with security. You don’t want your packets or your data to be compromised in any way. So yeah, we work on some of these things, and the scale is so large, it’s just fabulous for us. Host: Let’s talk a little bit about philosophies of research. I kind of ask myself, you know, do you ask different kinds of questions as a researcher in technology, or do you just ask the same questions with different deadlines? Where do you fall on that question, and where do you think MSR falls on that? Victor Bahl: Yeah, that’s a good question, I think. And you bring up an interesting point about timelines, and I think that’s kind of the key here, that I believe in Microsoft Research that we have time on our side. Whereas engineers and folks who work on the product, they have to deliver pretty quickly. Now, with time on our side, that luxury allows us to now try things that may not get there very quickly. And it also allows us to take a lot of risks. And so, in research, I believe we deal with ambiguity very well. You know, you give us a whole set of data, you give us a generic problem. And we have trained ourselves to try to identify, with great crispness, what the hard problem there is, and then we go after that. So yes, there is a difference between how, you know, engineers, very smart engineers, will deal with a problem in the product space, and researchers will deal with them in the MSR space. Host: That’s an interesting comparison with the engineer and the researcher in the sense that if you’re an engineer, you have that deadline, and sometimes that can be a benefit, right? I have to solve this quickly to deliver on a deadline. Victor Bahl: So, it’s not like we don’t give ourselves deadlines too. You know, we impose these deadlines on us to sort of put a stake in the ground in some sense of saying, you know, we are on top of this stuff. So yeah, deadlines do help. Now, there are different kinds. If you have very short deadlines, then you might compromise just here and there to get to that deadline. Host: Well, and I would say that from a researcher perspective, yeah, deadlines can help incentivize you. But also, they don’t allow you to take the kinds of risks that may come up with a serendipitous discovery along the way. Victor Bahl: Yeah, but I mean, you know, to be very fair and honest about it, there is a culture of trying to produce a lot of papers, right? So, they put these self-imposed deadlines and try to publish. That’s their, sort of, their product, as I say. In reality, we should be able to take time. I don’t think research can be done without leisure, to be honest. You really need time to sit back and think and reflect. And not everybody understands that. I mean, people might sort of say that you’re not working, but that’s actually not true. Host: It’s a balance and an ebb and flow probably, a little bit. Host: Off the topic, but it’s like slow food and fast food. Sometimes you have better benefits if you take time to reduce the sauce. Victor Bahl: Yeah, but the hamburgers taste very good, though. Host: When you’re super hungry, absolutely. So, Victor, collaboration is a big deal in systems and networking. Host: Which totally makes sense if you think about it, networking. What individuals, organizations, industries do you collaborate with, and why do you think it’s so important to work together on the kinds of problems you’re addressing? Victor Bahl: Yeah, I actually believe in this very deeply. So, there’s multiple types of collaboration, of course. The most obvious one is where you’re collaborating with engineers and where you know you can sort of think about, they have some very hard problems to work on, and you know they’re not sure exactly how to go about it. And so, you understand what they’re trying to do. And then once you’ve understood that, you try to help and you’re sort of collaborating with them. And so, this is sort of the typical research/engineering collaboration. But if I step back, I think in research, we have to collaborate with more than just the product group guys. Collaborating with, believe it or not, the government, is really important. Government officials don’t necessarily know what is doable, what is not doable. So, you have to sort of work with them for them to understand the aspects of technology that can compromise people and ones that don’t. We collaborate with academia, and this is the source of talent that we are to hire. And they have to train these people to work with us. So, then you know, these brilliant people that we work with, once they understand the problems we’re working on and the students come and work with us as interns, that’s another form of collaboration. And then, a fourth form I would say is just the businesses. I mean, a lot of the stuff in technology is actually creating new business models, right? I mean, if you think about Google, one of the big successes was not necessarily the search. They had a breakthrough in the business model. So yeah, I mean, if you really want to be successful, you’ve got to work with all these different individuals, I think, or individual players. Host: Let’s talk briefly about network system, writ large. What are the historic challenges of network systems, and how has the landscape changed with the advent of the cloud? 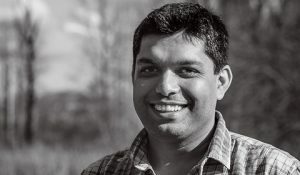 Victor Bahl: So, I’ve been doing this for a long time, so I guess I should be able to say… The world that I walked into after getting my graduate degree to the world that exists today is different. But it’s way more exciting now than it was then. So, when I graduated, there was no cloud, right? There was internet. And even the internet had not really picked up. There was no web, for that matter. The web happened after I started working. And I was working in wireless. The telco industry was taking off; cellular networks were big. And we were starting to connect to one another. Our generation connected the world. And the next generation will figure out what… So in terms of connecting the world, we’ve gone into many dimensions here, but you asked specifically about the cloud. In the cloud, it’s all about scale. I mean, we have such massive scales. They… You know, we have something in the order of 54 regions, and these regions have multiple datacenters. We’ve got over 150 datacenters around the world, and they’re getting further built. We have tens of thousands of miles of fiber in the wide area. We have hundreds of thousands of miles of optics inside the datacenter. So now think about these millions of components that are connected to one another. And we rely on them so much, you don’t want them to fail ever. Victor Bahl: That’s the problem, right? We have now created these complex systems, and we rely so heavily on them. And we have to constantly figure out, what is the discipline with which we design, we build, we add more features, so we can do well? So, I think the world earlier was a little bit simpler, but it was beautiful, because we were discovering new things. Now it feels that we have discovered a bunch of things, but now everybody wants them, and so now it gets very, very complicated to try to make sure that everybody gets it. Host: I love how you describe “my generation connected the world,” now you guys go figure out how you’re going to keep that going. Victor Bahl: It’s true. It’s very true. Host: In this giant scale. Victor Bahl: It’s very true. Every generation… this is our generation’s gift to the next generation. Host: It is. Victor, you have some great stories from your career here. There’s one I’d really like you to tell our audience today, and it’s the one about how the first wireless hotspot came about. Victor Bahl: Right, right. Oh, how many years ago was that? That is 1999. So, I had graduated. I had gone, got my PhD while I was working. And then I came to Microsoft Research. I was this newly minted PhD, and I wanted to do something great with my life. And so, we were in this building. I said, we’ll create a Wi-Fi network. At that time, there was no Wi-Fi, by the way. There was a standard, this was called A22.11 and I wanted to create a lab out of this building that I was in. So, one of my managers was very supportive of that, and so he gave me the green light to do it. So, I created that lab, and I put A22.11 in that building. So, now this was also the time when 3G networks were starting to come. And in the media, everywhere you read, it all talked about 3G. They talked about, that’s what was going to create a ubiquitous coverage. Bill Gates was the CEO at that time, and we showed him what we had. And we convinced him, and he made the decision, to expand this network that I’d created to all the buildings in Microsoft. It was about 35 buildings at the time. And that was a big deal. There was nobody in the world at that time who had this, right? So, it was Bill’s forward-looking vision that he made that decision and made that happen. But then, that lighted up everybody’s eyes. And then other companies started to look at, oh, maybe we should do it too. So, as I was thinking about all this stuff, I thought, hey, I’ve got this going here. I can probably do it in public spaces too. I can go to malls and I can go to shopping centers, and I can go to airports and I can be connected. And I don’t need the 3G network. I mean, this is all indoor technology. All I need is a way to authentic people, and whoever has put the network there, they can figure out how they want to charge. Either they can give it free or not. So, I wanted to do this for real, so I went to Crossroads, and said, your shopping center will be the first Wi-Fi hotspot in the world. They had these bragging rights that they were convinced of. So then, over a period of a year and a half, with another student of mine at the time, he and I, we build this up. And this actually ended up becoming the first Wi-Fi hotspot. Host: Well, before we get into two big topics that I want to cover with you, let’s talk for a minute about the breadth of work that’s coming out of your group. And there’s some really exciting stuff going on. Fantastic projects, for example, in live video analytics. So, give us some highlights of the research that we’re seeing in this area, just kind of high-level, and what research from other groups has really enabled those products to come to life? Victor Bahl: Yeah. So, I like this project for a number of reasons. You know, you asked me when we began, why I like this job, or why I think it’s one of the best jobs. So, this is a great example of tech that can be good for business, and it’s good for society, right? So, the scenario is straightforward. You and a lot of people – all of us get stuck in traffic. And we want to not be stuck in traffic. That is just wasted time. So, we started looking at the cameras, right? And then we thought, well, we’ve got all these cameras that are taking this video of traffic flowing and things of that nature, but they’re not doing anything active with it. They’re sort of like take the video and then later on you would analyze it. So, that got us going in that space. Now, there are many technical problems here. But I think, since you asked me to stay high level, you should think of it this way. In Beijing, there are 20 million cameras. And in London there was a camera for every 7 or 8 people there in the city. If you go to New York, you see cameras. And the question then, you ask, is, okay, who’s looking at the video? I mean, when something bad happens, you go back and look at the video, right? And so, in this day and age, why can’t I build technology where I can do vision research? There’s been a lot of great work that has gone in vision, computer vision. And so, we decided that we could take some of that work. We could build these systems and roll them out to try to take advantage of these streams and create workflows that would have an impact. Host: I would love to spend an entire hour with you just on live video analytics, but we’ve got to move on. Because I can’t let an interview go by with you without talking about the dynamic spectrum, the spectrum opportunity, TV white space. You were there pretty well from the beginning. Victor Bahl: I was, yes. Host: So, in broad strokes again, tell us how the TV White-Fi came about. Host: And how it’s developed over the past couple years. Victor Bahl: Yeah, so, you’re right. I was there from the very beginning. Actually, my story on that starts in the year 2003 when Craig Mundy, who was the CTO of this organization took me out for dinner. I was again a young researcher, and I didn’t know what it was about. And he started talking to me about this cable/DSL duopoly. So, he started to explain to me how in rural America people had no access in the internet, right? And the duopoly concept was about the fact that everybody was relying on these cable and Telcos to provide them connectivity. And they would provide connectivity where their business model made sense. So, as he was explaining this to me, he started to say, well, Victor, we must be able to do something in wireless to prevent that. And then he said, so are you going to do this? This is exactly how he said, are you going to do this? And so, here’s a CTO of Microsoft Research, at that time, asking me. So that got me going on this stuff. And then this amazing thing happened that we discovered that this new spectrum was going to become available. And this was spectrum that was reserved for digital TV. It was being used for analog TV, and it was going to be converted to digital TV. And the rule of thumb there is that digital TV will use one-third the spectrum of the analog TV. So that means you’ve got two thirds spectrum leftover, right? These are the frequencies that are left over. Of course, the Telco companies came and said, we want that, we’ll pay you for that. And then, you know, we went and said to them, if you give it to Telcos, you’ll have the same problem. All these millions of people in US, and even not US, just billions around the world, which will again be left out. You would not have solved the problems. So, what they did is, even though everybody was broadcasting digital, they started putting TV stations in analog space to not to lose that spectrum. Because they know they couldn’t really sell it, but they didn’t want to give it up too. They knew this was a major resource. So, this was a serious problem now for us. So, the technical problem then became, can you now sense the frequencies? If nobody’s using it, just use it. So that is where we created this notion of opportunistic networking. And we went after that. A lot of papers written, a lot of like press. Nobody was really doing the work. But we took on the work. We actually built a system like that. This was cutting-edge. Nobody had ever built anything like that. We brought the FCC chairman. I gave him a two-and-a-half-hour sort of a lecture on how these things work. I showed him the network on Redmond Campus and showed him the demo. He and his colleague asked us all kinds of questions, but we sent them convinced. Five days later, they awarded to say yes, let’s… unlicensed spectrum is allowed. Victor Bahl: And then, so this was a big, big win for us. And the final thing I would say is that Microsoft now has an Airband Initiative where we have promised to connect 2 million people in the United States by 2020 based on this technology. And in Africa, we’ve done the same thing. Hundreds of thousands of students have come online, and they’ve written… I’ve gotten mail from them saying that this has changed their life. They actually said God should bless us, because how much we had changed their life. Victor Bahl: So yeah, this was a big story for us. 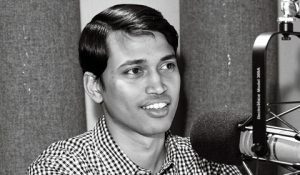 Host: Well, also if listeners want to drill in a little bit more, I did a podcast with Ranveer Chandra, who explained in more detail the dynamic spectrum TV white spaces. All right, a lot of talk lately about edge computing or the intelligent edge. Can you give us an overview of what it is and why it’s important, and what are the big research challenges for edge computing? Victor Bahl: Today, cloud vendors sell you storage and they sell you compute. I want them to sell you latency as well. So that’s how we conceived of edge computing. It was actually conceived in 2009. So, the idea of edge is that you have many applications which are very latency-sensitive, so edge is very, very important when computing has to be very close to the data, but then the devices are not… you don’t want the devices to be very big. They’re just very small. So, when I thought about edge and conceived it, I thought about edge in conjunction with cloud. And what has happened in the last two years they manage the edge with IoT. Any sector you look at, it’s all about IT. It’s all about automation. And so… it’s all about sensors. And so now they have to connect some computing device, and that’s your edge. That’s your intelligent edge. So, I think in research there are many problems that still need to be solved. All the problems we solved in the cloud actually apply to the edge too, things like availability, reliability, security. All that has to be solved in now this domain. And the assumptions that were made for the cloud are a little bit different from the edge. Host: So where does that live in the research organization? What kinds of things are you working on to make that a reality? Victor Bahl: Yeah, so the biggest thing is about reliability. So, you know if you’re going to create a dependency of your business on the cloud, you need to make sure that the edge is always available. So, I think one of the problems is that in the cloud, you’ve got hundreds of thousands of machines, and we know how to make availability. If something goes down, we’ll just switch you over, you won’t even know. Now, in edge, we don’t control the system, because it’s sitting on your premise. It’s some heterogenous piece of hardware, and so even thinking about, how do we give you the same sense of security that you have in terms of the availability of the system as we have in cloud? So that’s one problem we’re working on. Other problems have to do with security. I’ve been sort of working with, talking to some researchers yesterday about there’s this problem with physical security. In cloud, we have everything contained, it’s lock-and-key, people are watching. You know, you put the edge here, now, you can have physical security problems where people can actually turn some things off, take the disk out, read it, put it back in. How would you ever know if this happened? And one of the things that always came up was that we’re building these datacenters so quickly, why do we need these edges? So, one of the things was to just build applications that convinces people that you can do this without cloud, so we’ve been doing that as well. Host: Yeah, you know, I talked to Ben Zorn a while ago, and we talked about the Internet of Things and how not unregulated necessarily, but I could make a device and can sell it to you. Host: And I don’t have all of the same fallbacks that I put into it. Host: So, you’ve got a smart doorbell, you have a smart fork, connected to everything. And it’s like a host of problems. Victor Bahl: Yes, it’s very serious if you think about it. So, we all like this stuff. But when things go down, you need to fix this. Host: Who do you call? Victor Bahl: What are you going to do, right? Host: Who are you going to call? Victor Bahl: Who are you going to call? Ghostbusters, right. But seriously, though, so I think the challenge for all of us is to actually build self-sustaining systems, self-managing systems. And, but I don’t say that too much, because when I say that, it always tends to take people in the direction of, oh my god, we’re going to The Matrix, or we’re going to something else. Host: Yeah, see, there’s a whole question I ask all of the researchers was what keeps you up at night? But we’ve kind of covered that, on that. Host: So, let’s talk about a big thing and kind of live there for a second. The big announcement this week of the Open Network Emulator. Host: Which seems to be predicated on the underlying assumption that the cloud is too big to fail, to use a phrase. Tell us about Open Network Emulator. What is it? Why do we need it? How did you build it? 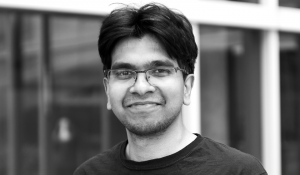 Victor Bahl: Yeah, the Open Network Emulator is, once again, now it’s going to become a theme in this podcast, about reliability and availability. Let me put it in perspective as to what it is. As the name suggests. It’s an emulator. It emulates networks. And we’ve known that for a long time, how to do that. But it’s been very hard to emulate cloud-scale networks, right? These are very, very large, as I’ve been saying again and again. The larger story here is verification, network verification. And the way network verification ties into availability is as follows. So, let’s say everything is working perfectly well. Barring hardware failure, everything should be fine. But then somebody, who is part of your team, goes and changes something somewhere. And I have horror stories about that that I can tell you, but I will not… But goes and changes something at some point, and that thing, as has happened in the past, can bring down an entire region, because, you know, if you break the network, your packets are going nowhere. They’re not going to the right places. Let’s put it that way. And that’s a complete no-no for businesses, right? So, this thing, talking about what keeps me up at night, if something happens somewhere, things will go bad. Millions of people will be impacted, and I don’t want to be the source of that, right? So, the emulator was built to prevent that. And the way the emulator works is that now, networking engineers and operators, when they do changes, they make the change, but they actually don’t even know if they’re making the change to the network. They actually are changing the emulator. Because it mimics the network underneath so amazingly that you can’t tell the difference. So, once you make the changes, the emulator will then try them out and make sure everything is good. Once everything is good, it’s going to go and put in on the network below, and voila, if we did the work right, it should all work. Now, this is how we achieve availability, and it’s been phenomenal. I’m not going too deep into technical details here, but there is some major technical problems that we needed to solve to make it that way. And so now, we have decided that this is such an important resource for everybody that just hoarding it ourself is not the right thing to do. So, we are making it available to the entire community so that they can now – and it’s not just for production systems, but also for students that are now graduating. Because it emulates the network so well, they can actually do some amazing research without having major datacenters available to them. Victor Bahl: So, we just think that this will be very valuable to the entire community, both researchers and industry, and governments also, you know. So, that’s what we are doing with the Open Emulator. Host: As a director of a large group at Microsoft, you have to have some skill in dealing with people. And when we talked before, you told me a little about your own management philosophy, particularly as it relates to how you inspire, shepherd and even protect the people that you’re working with. And you said that it was sort of anchored in the way that you were treated when you were a young researcher. Host: So, tell us about that, what you think. Victor Bahl: Yeah, so, you have to grow as a manager. And what I mean is, let me start by saying that what worked then, doesn’t seem to work now. So, you have to continuously evolve. There is no fixed style. I mean, there are certain core things here, that means respect for the individuals, making sure that you don’t smother them too much in the sense of like they can’t even grow. But as to how you deal with people, I’ve realized it’s generational. So, when I started doing this, a certain set of things worked really well. As a new set of people are coming in with a different sort of an outlook towards life, those old things don’t work anymore. So, what the people who are in my group tell me a lot is, “Victor, listen.” So, I try to listen. A lot. But generally, I think that when somebody comes into my room, with an idea, they should leave feeling great about the idea. Because I have enough humility to say that I don’t know it all. I can express opinion, I can give advice, but I don’t squish any idea, because I feel like, you know, again and again, people have surprised me, massively, about what started off and what it became, because they are just great. And I think that part of your job as a manager is to provide enough air cover so the other individual actually believes that you support them, you will go to bat for them. So, you can have a little bit of discussion here. But once I have said I would, I would go to bat for any of my guys at any point. Host: Just briefly, give us the story of Victor Bahl and Microsoft Research. How did you get here? 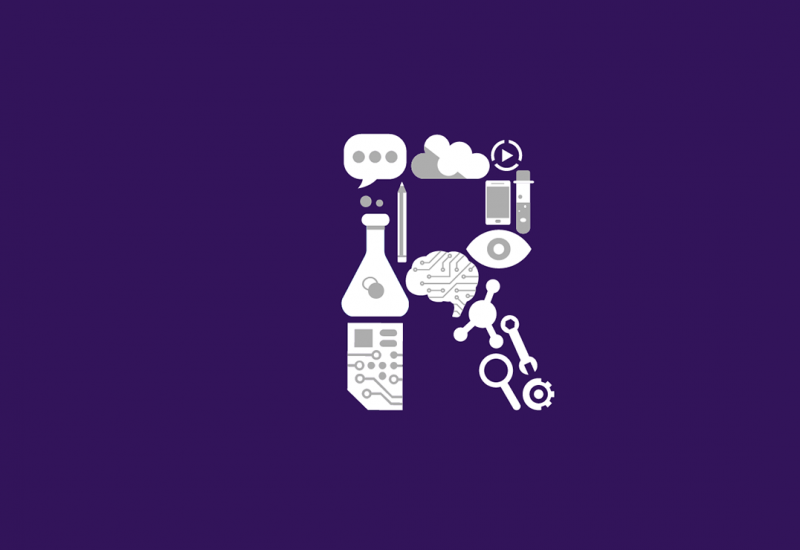 What was your path to Microsoft Research? Victor Bahl: Because they were all from systems, and they didn’t want networking to be first. So that’s how, it could have been Networking and Systems everywhere instead of people saying Systems and Networking. Host: Well, as we close, what do you see on the horizon for the next generation of Networking and Systems researchers? What big, exciting, unsolved problems might inspire the next group to be the next Victor Bahl? Victor Bahl: Well, I don’t know about the next Victor Bahl. I’m sure they’ll be their own self. But, I think we live in great times. It’s so amazing. So, I already mentioned to you, things around cloud and things. But what is exciting beyond all this cloud stuff is, think about what other available devices that are coming along the line, right? I’m wearing this watch here which tells me a lot of stuff. This is just the first version of what we’re doing. So, I am not able to predict what precise world we will go towards. I have some broad strokes there of that. But what I’m convinced about that is that the set of problems that are coming our way, and the kinds of things we’re going to do, are just going to be phenomenal. I mean, it’s just… if I was to be born again now, I wouldn’t mind getting born right now. So, it’s just a great time to be alive, yeah. Host: Victor Bahl, thank you so much for being our first live podcast and being such a good first live podcast. It’s great. Victor Bahl: Thank you very much. Host: To learn more about Dr. Victor Bahl, and Microsoft’s vision for the future of our networked world, visit Microsoft.com/research. Episode 35, August 1, 2018 - Dr. Ravindranath Sivalingam tells us why he is so passionate about what he does, explains how internships can literally change your life, and shares the story of how a hackathon idea turned into a prize-winning project… and then became the backbone of a powerhouse tool for gamers and their fans. The Networking Research group at Microsoft Research Asia engages in fundamental research on all aspects of computer networking.